The dependence of photoconductivity on the mean sizes of coherent scattering regions (CSR) was studied using Time-resolved microwave photoconductivity (TRMC) technique in 36 GHz band in thin films of Cu(In,Ga)Se2, being used in photovoltaics. 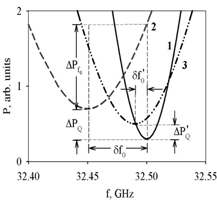 A model is proposed to describe the dependence of conductivity on the frequency and the electric field strength in polycrystalline semiconductors. The calculation results are in good agreement with the published data on Cu(In,Ga)Se2, demonstrating the increase in TRMC photoresponse with increase in CSR size. The model predicts a large value of the electron mobility of the order 104 cm2V-1s-1 inside the CSR interior.